Galerie Kandlhofer is pleased to present the exhibition 'TIER' by Maximilian Prüfer (b.1986, in Weilheim Obb, DE) with a new series of works. Prüfer's works were recently shown at the Leopold Museum, Vienna, AT, 2018/19; Museum Villa Rot, Burgrieden, DE, 2018; Sotheby's Munich, DE, 2018; Museum Sinclair Haus, Bad Homburg, DE, 2017; H2 Zentrum für Gegenwartskunst, Augsburg, DE, 2017; Neue Galerie im Höhmannshaus, Augsburg, DE, 2016. 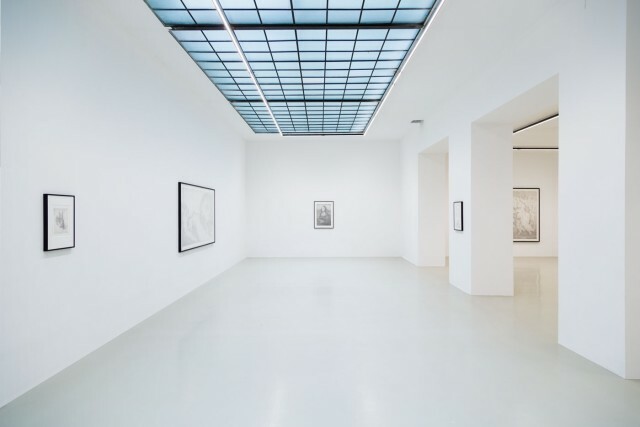 Maximilian Prüfer is a recipient of the Konrad-Adenauer Foundation EHF Artist Grant 2018.